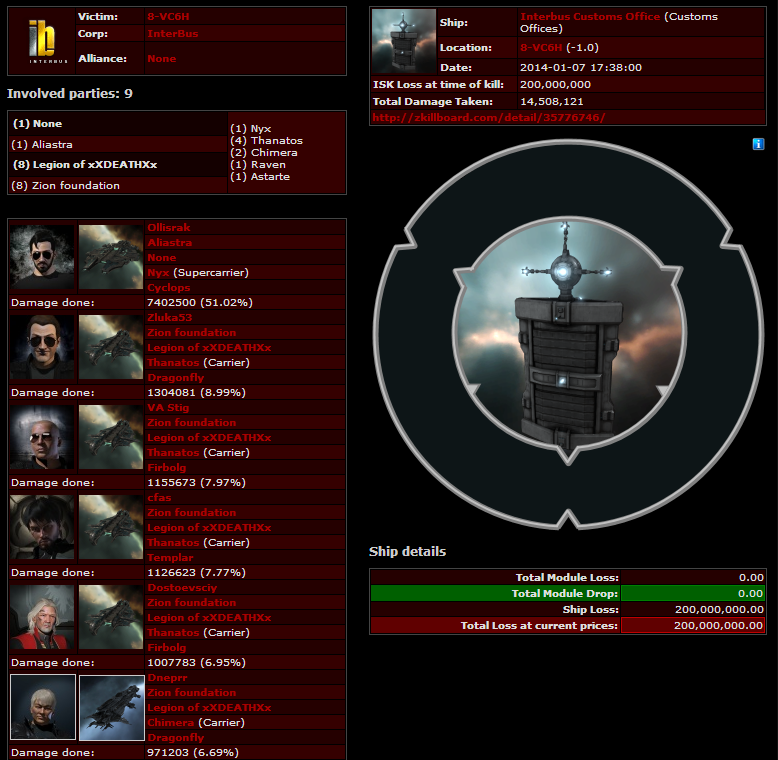 Continuing with the recent spate of capital losses recently a Legion of xXDEATHXx Nyx piloted by Ollisrak was killed today in Cache by a POS bashing SOLAR FLEET gang. 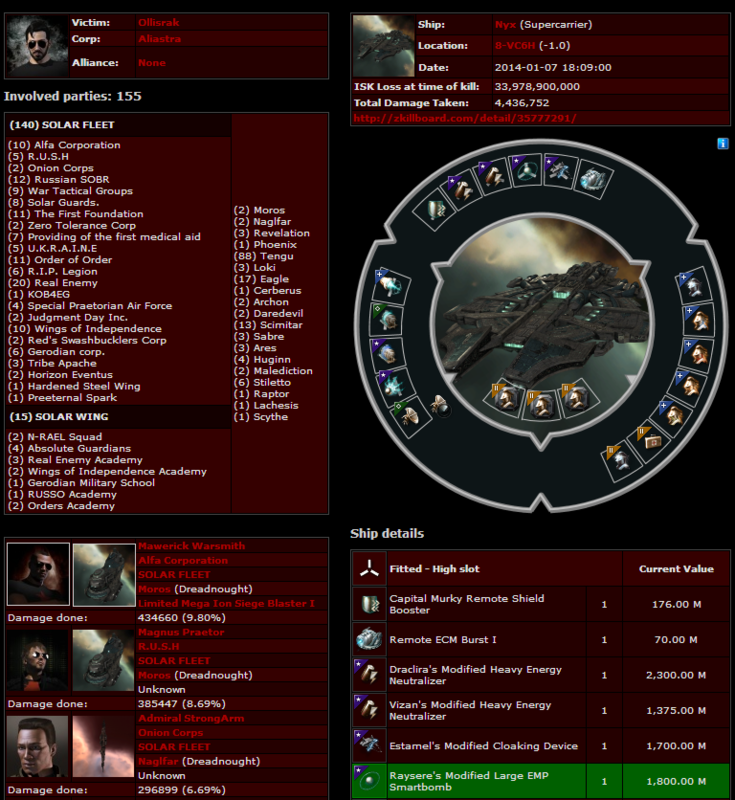 The killmail can be found here on eve-kill and here on zkb. To note; according to Lorianna Lee Legion of xXDEATHXx reportably had “around 5 carriers under pos field” though none tried to save him. Apparently today was the first attempt at reinforcing this POS but unfortunately for SOLAR they were shooting POCOs in system prior to them entering system, as shown below. Giving them the chance to make this kill. Lorianna Lee wished to add a special mention for Nikshpil16 as he was the one who spotted the Nyx originally. Even though this was mainly due to the fact that the pilot DC’d which ultimately cost him his ship, it likely would have happened either way. The question is who will be next to see their big shiny toy explode in a different or similar fashion. NB: An attempt was made to contact Legion of xXDEATHXx but as of writing no response has been received. Prior to the kill the pilot was in a NPC corporation although now he has since rejoined Zion foundation. You completed certain fine points there. I did a search on the matter and found the majority of folks will consent with your blog. It¡¦s in point of fact a nice and helpful piece of information. I¡¦m satisfied that you just shared this useful information with us. Please stay us informed like this. Thank you for sharing. Just how does one earn money from blog sites? Exactly how does one tackle it or begin it?